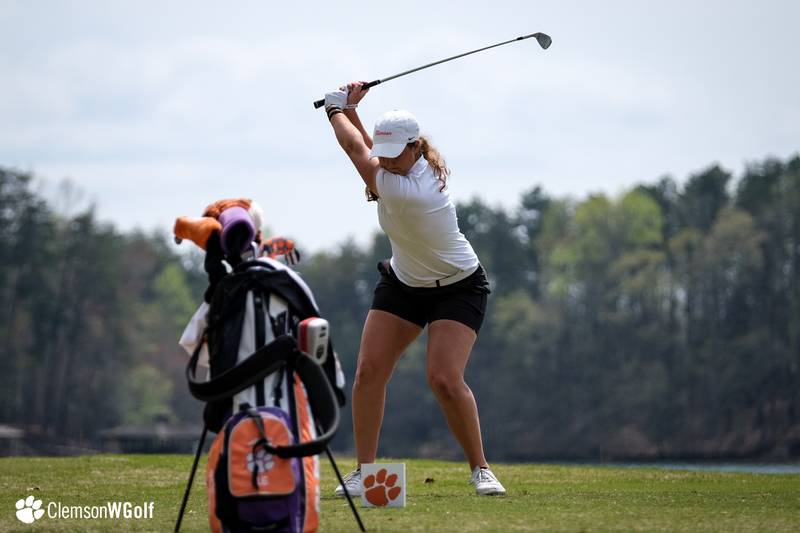 Clemson, S.C – Top 15 teams Auburn and Vanderbilt both shot opening round scores of 10-under-par 278 on Sunday to hold the lead after the first round of the Clemson Invitational at the Reserve at Lake Keowee in Sunset, S.C.
Auburn and Vanderbilt hold the team lead by five shots over Illinois, who had a 283 score. 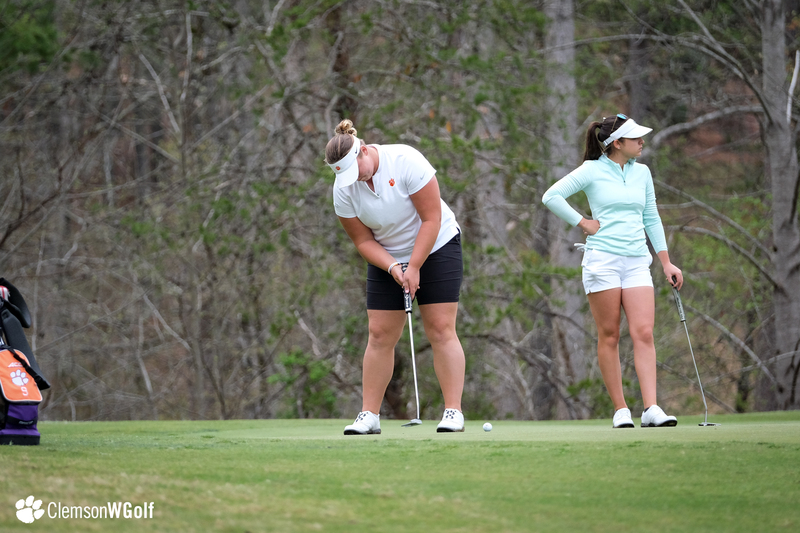 Virginia Tech is fourth at 285, while Purdue and Clemson and tied for fifth at 286. 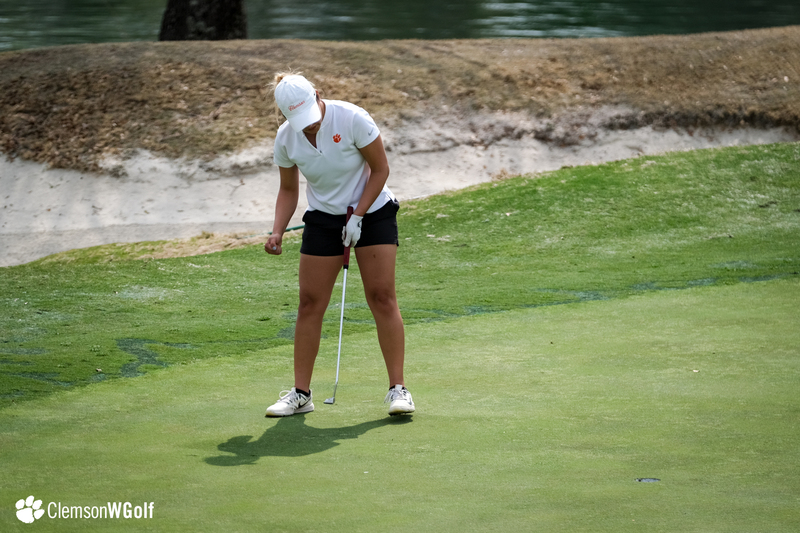 Fifth-ranked Florida State, the highest ranked team in the field, and LSU are tied for seventh at 287, while and Texas A& M is ninth at 288. 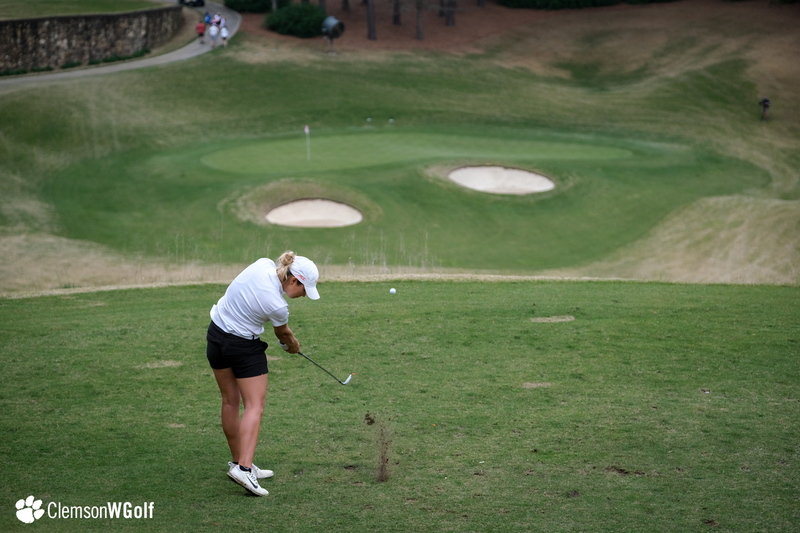 The teams are balanced as squads that are 3-15 in the standings are separated by just 10- shots. 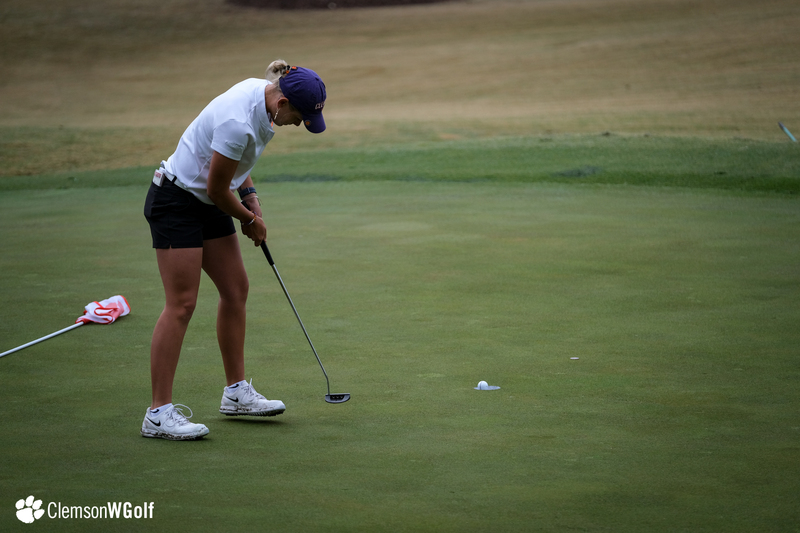 Twenty-four of the 96 players shot under par. 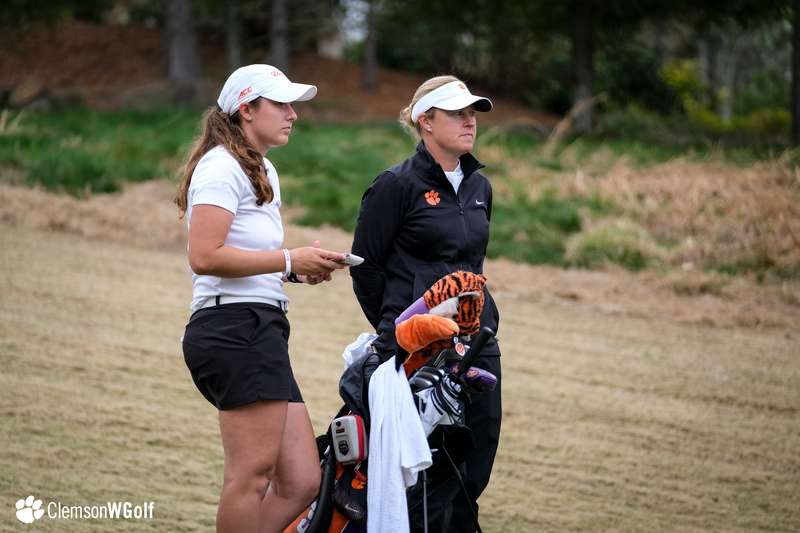 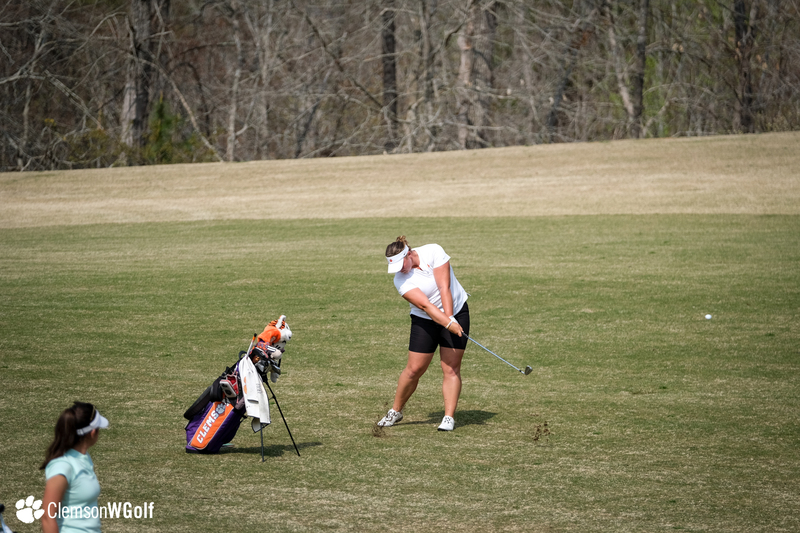 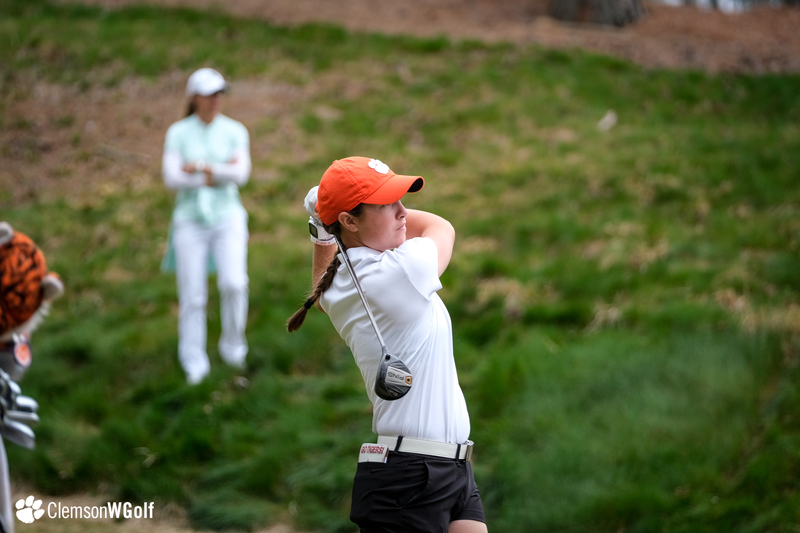 Leading the way individually Julie McCarthy of Auburn, who shot a six-under par 66. 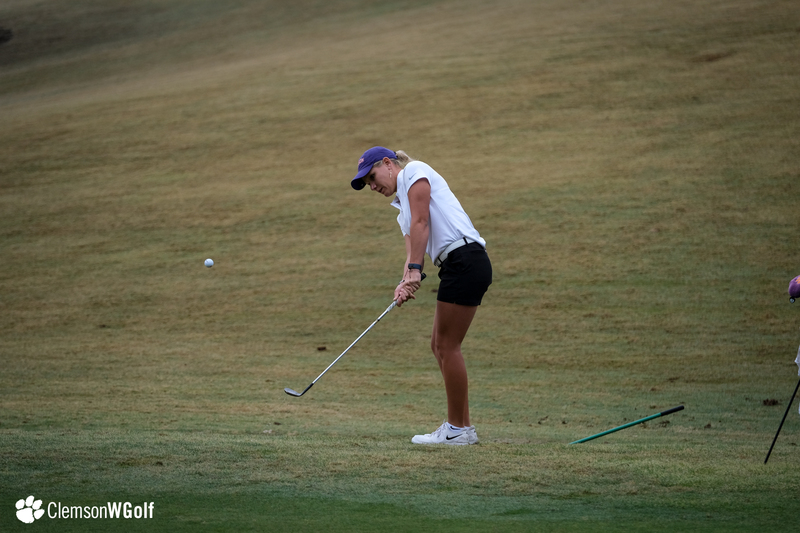 It was just one shot off the tournament record. 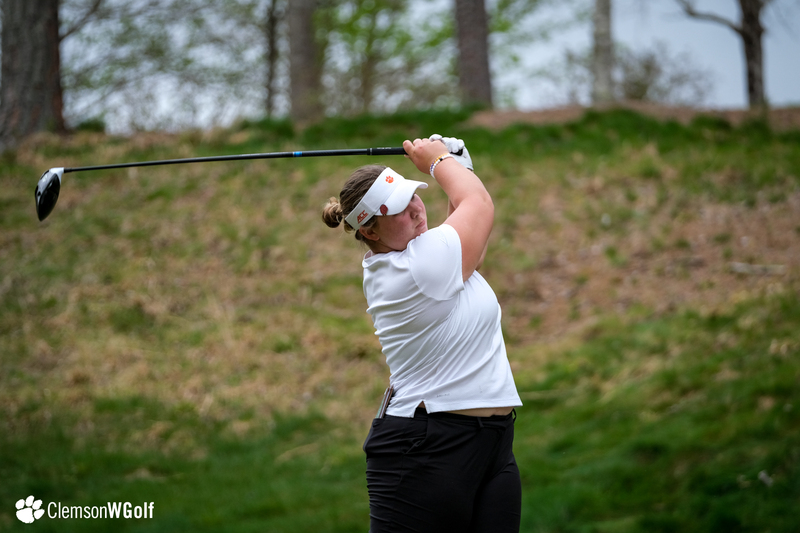 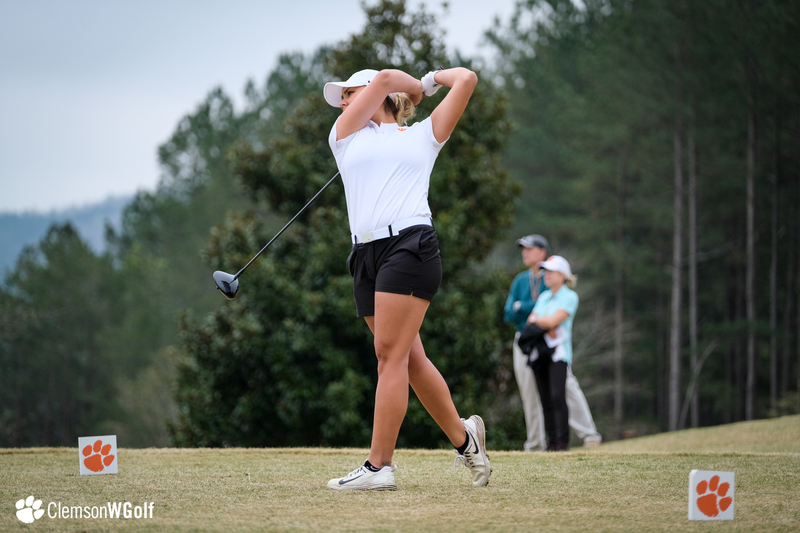 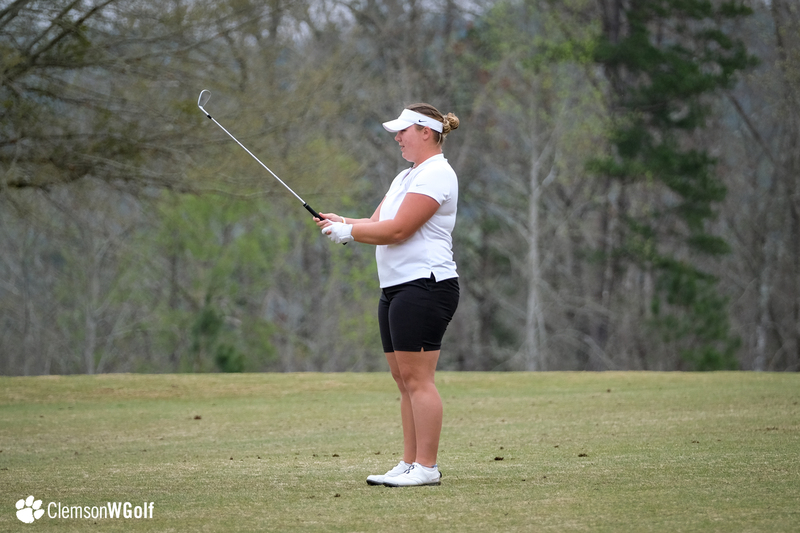 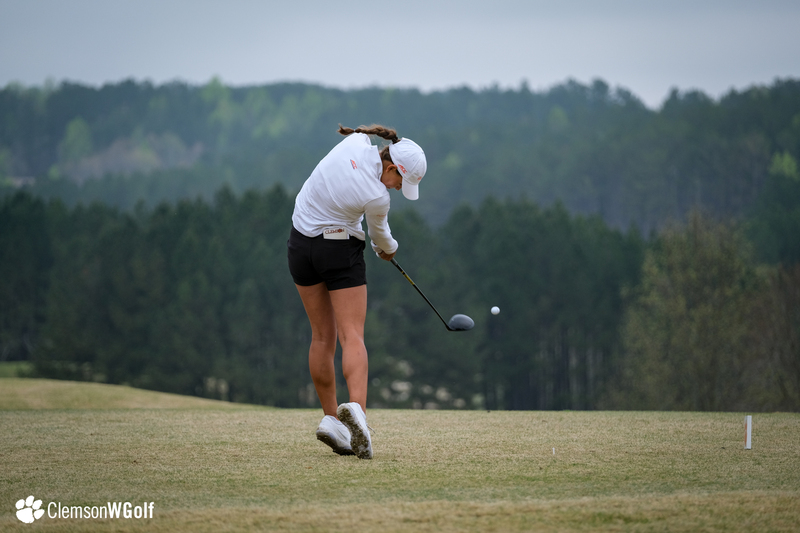 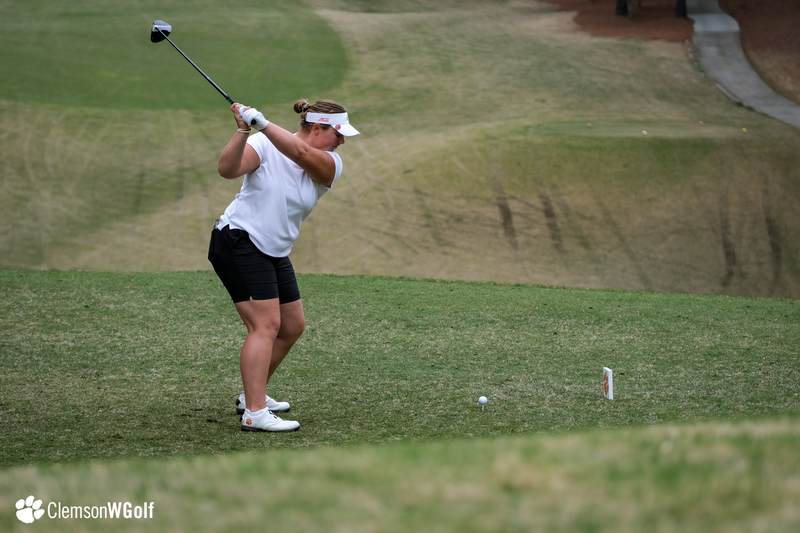 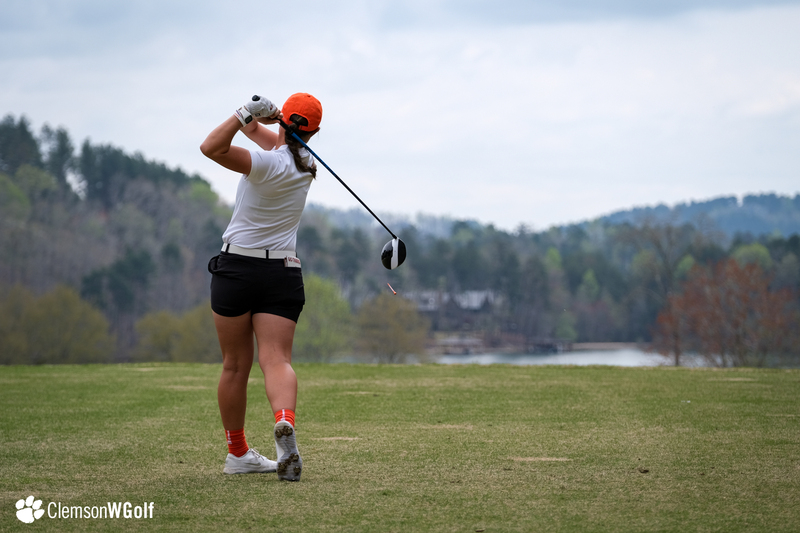 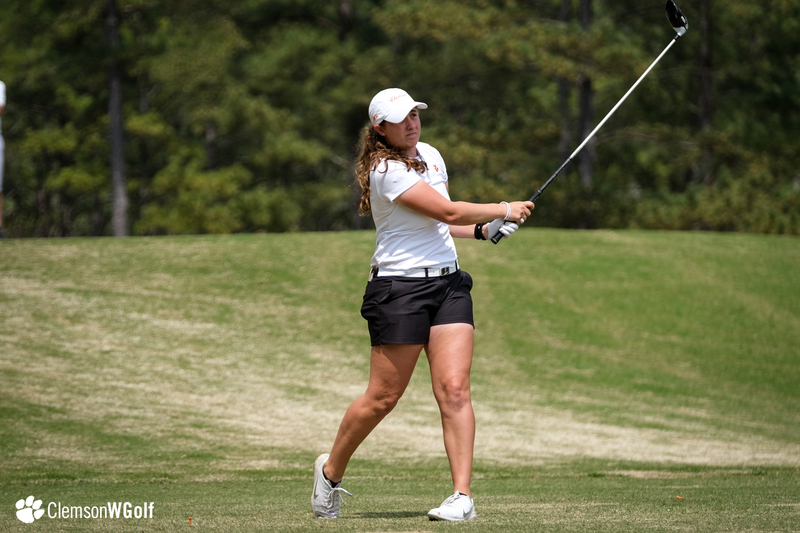 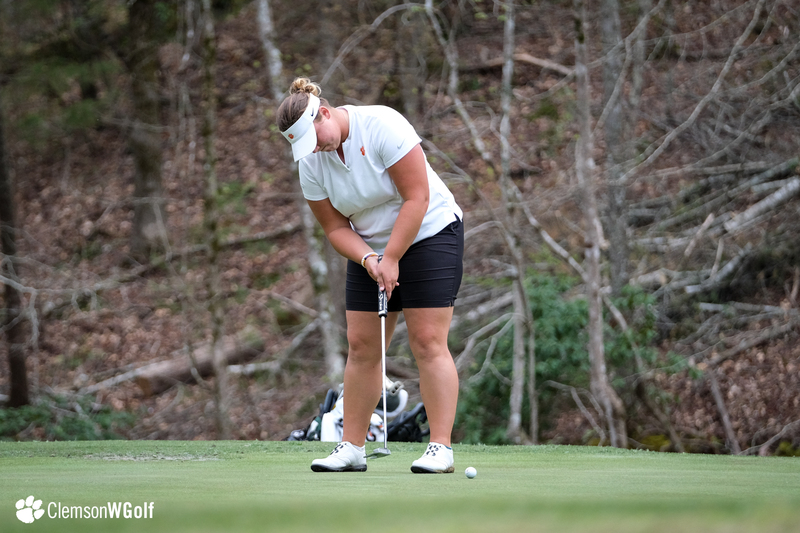 Beatrice Wallin of Florida State, Danielle Du Tort of Purdue, Courtney Zeng of Vanderbilt and Mariah Smith of Tennessee all had rounds of four under par 68. 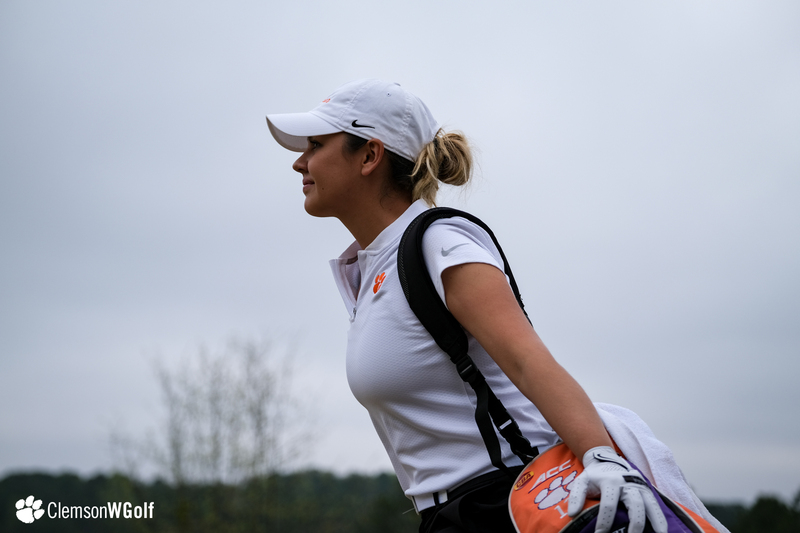 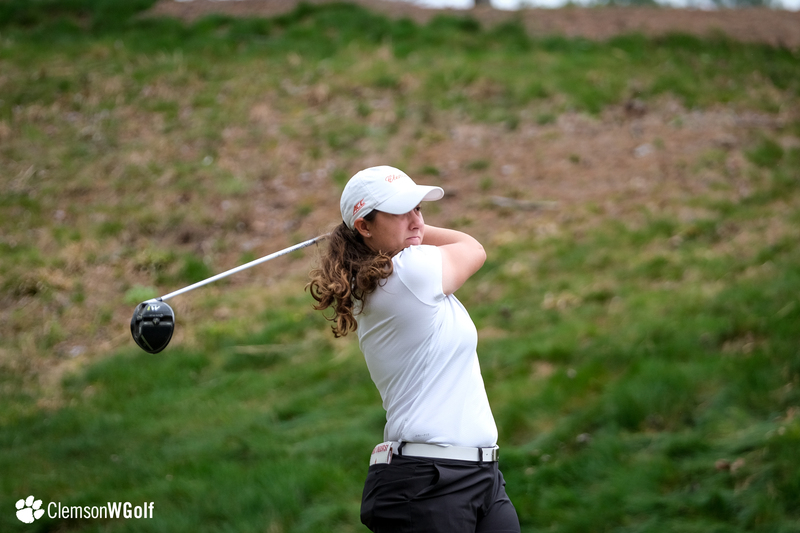 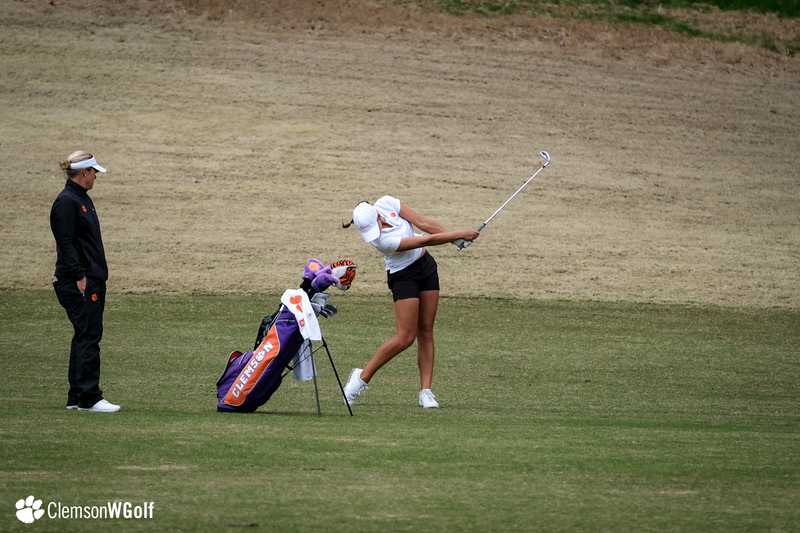 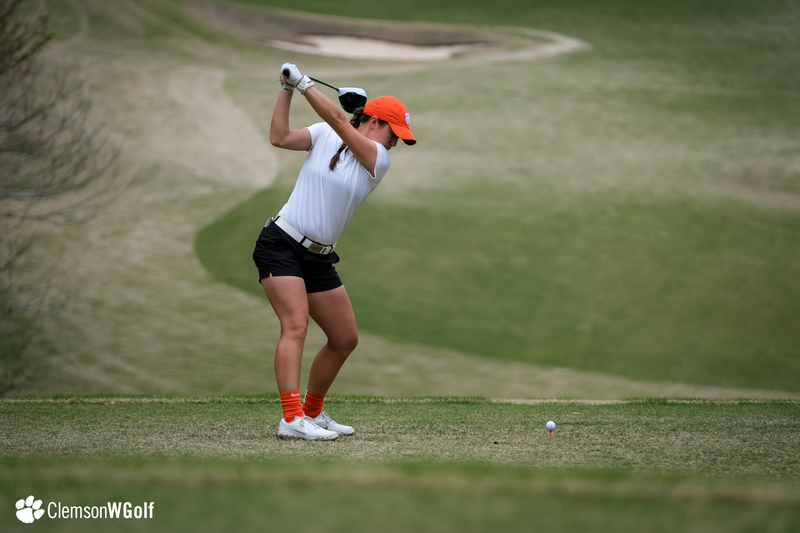 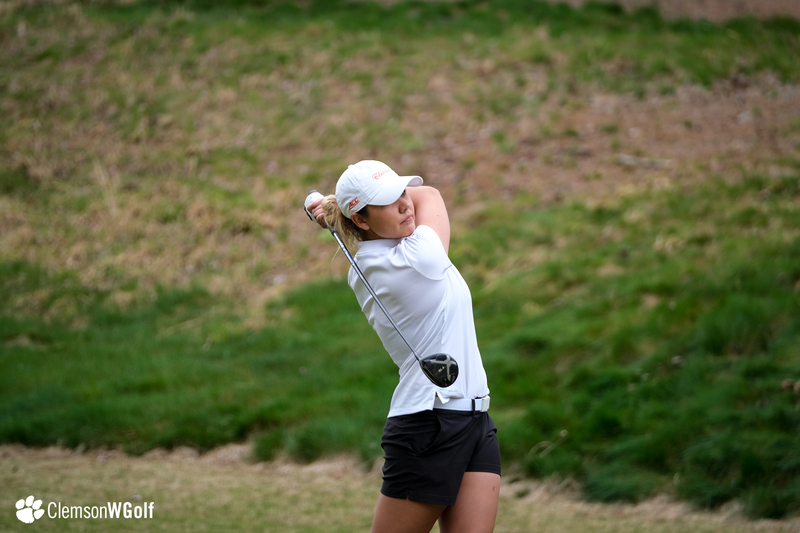 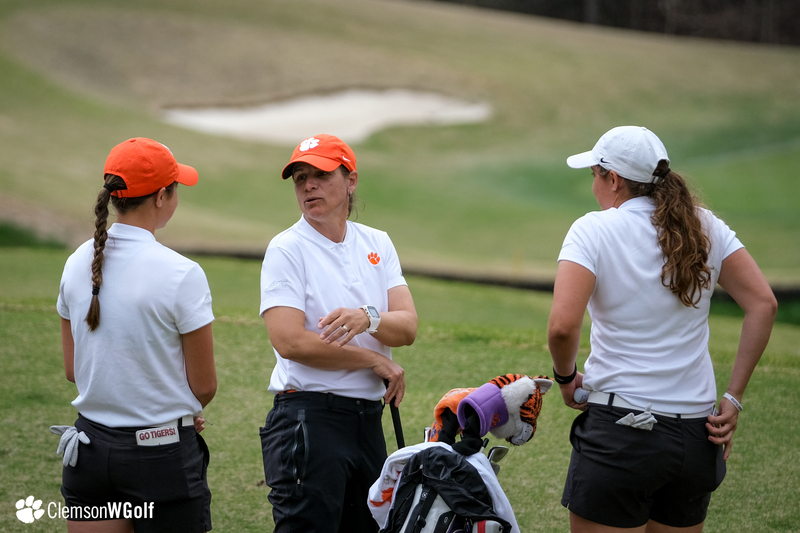 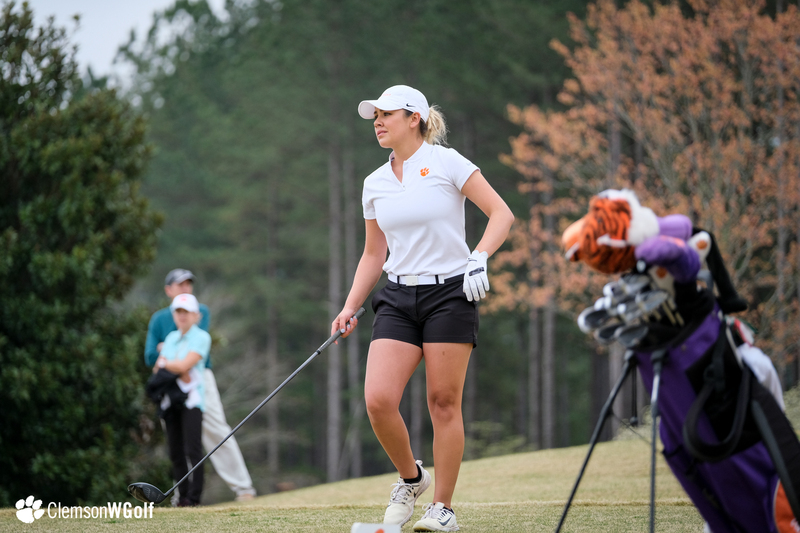 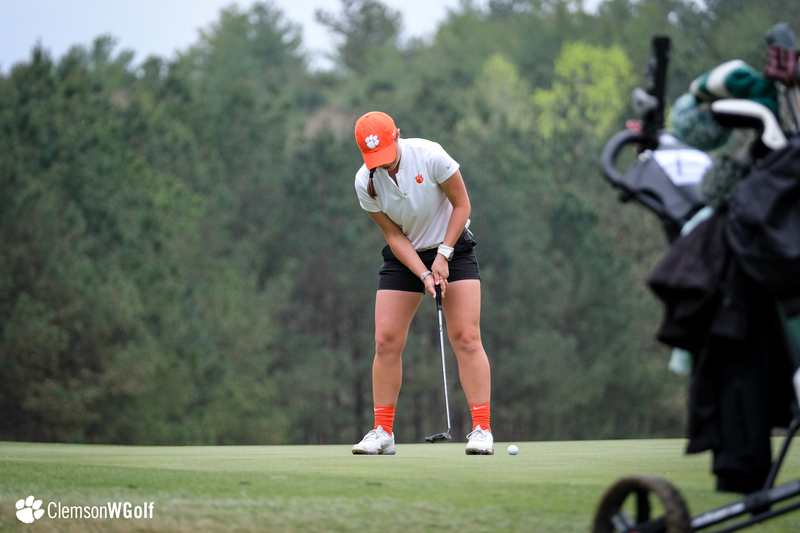 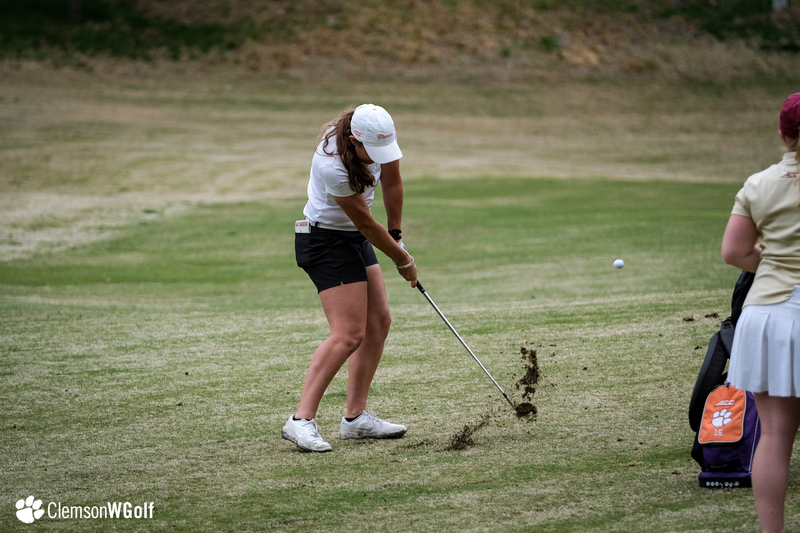 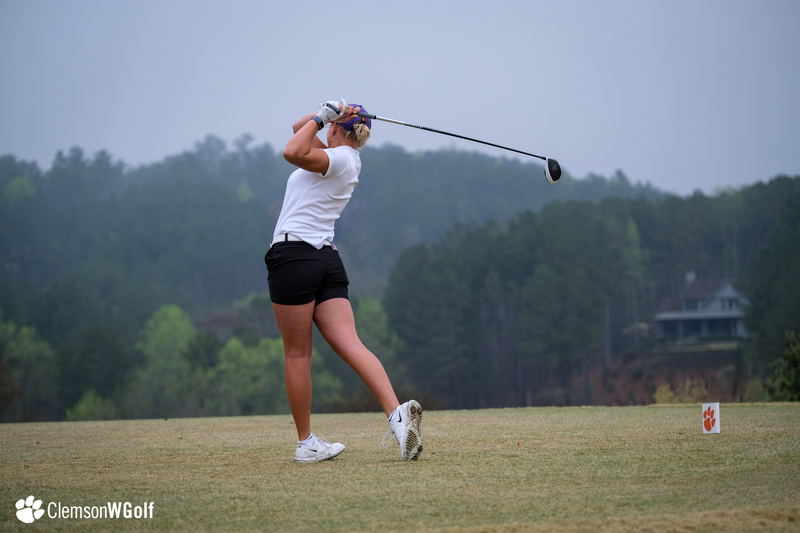 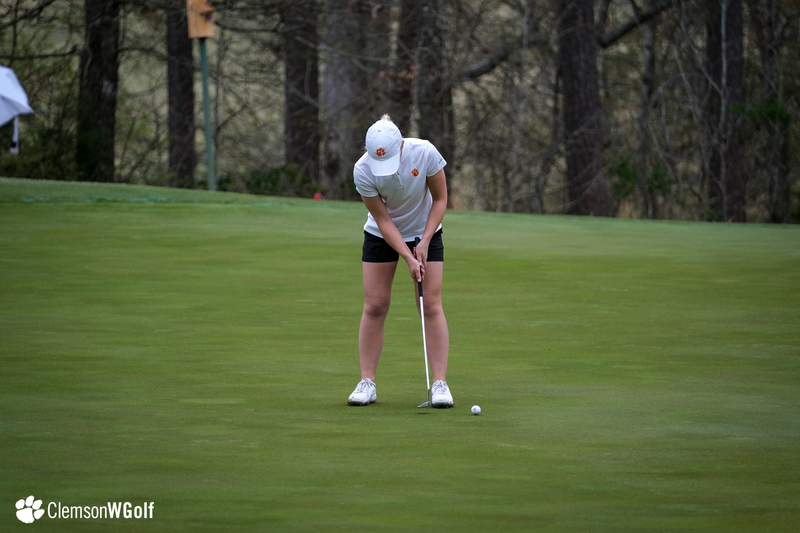 Clemson’s top player was Ana Paula Valdes, who had an opening round 70 to rank 12th in the individual standing. 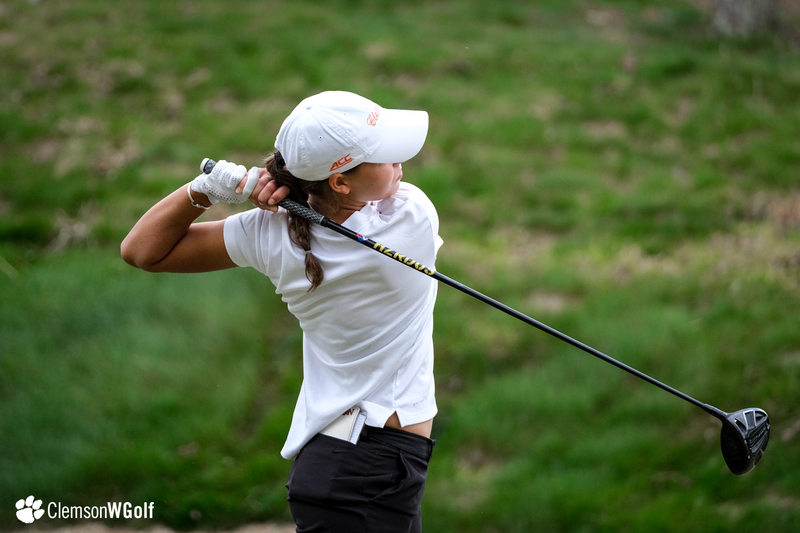 The junior from Mexico had just one bogey against three birdies. 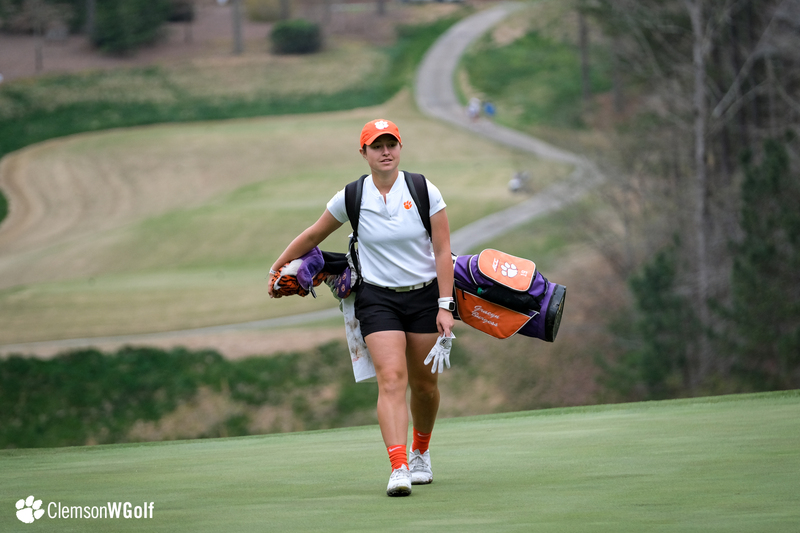 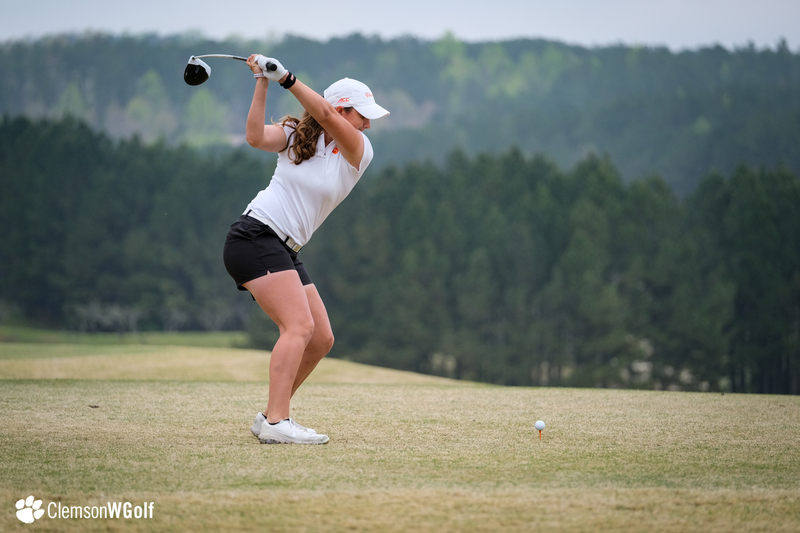 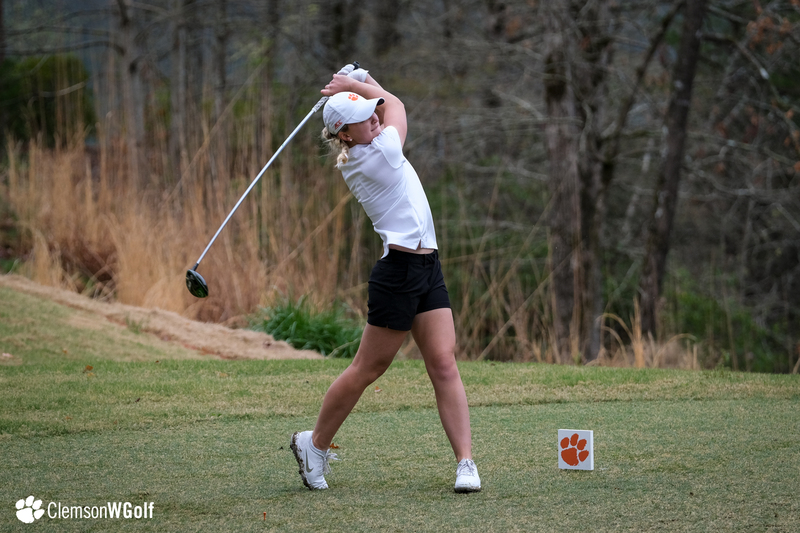 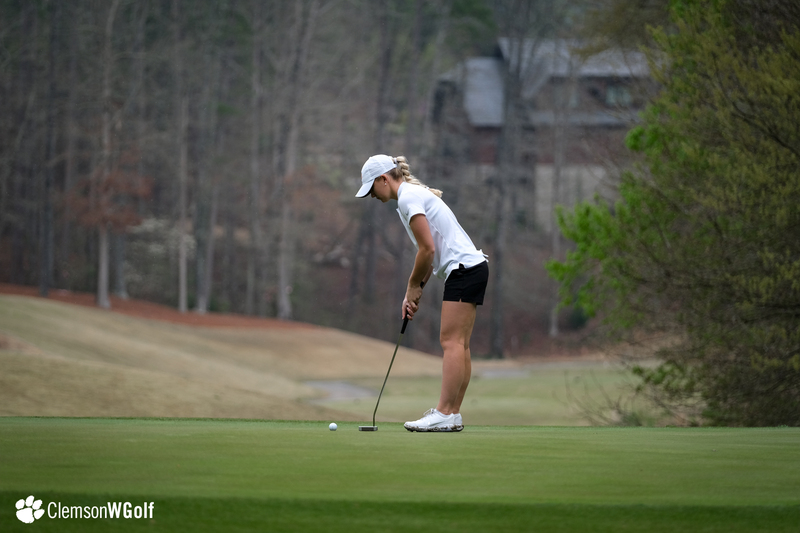 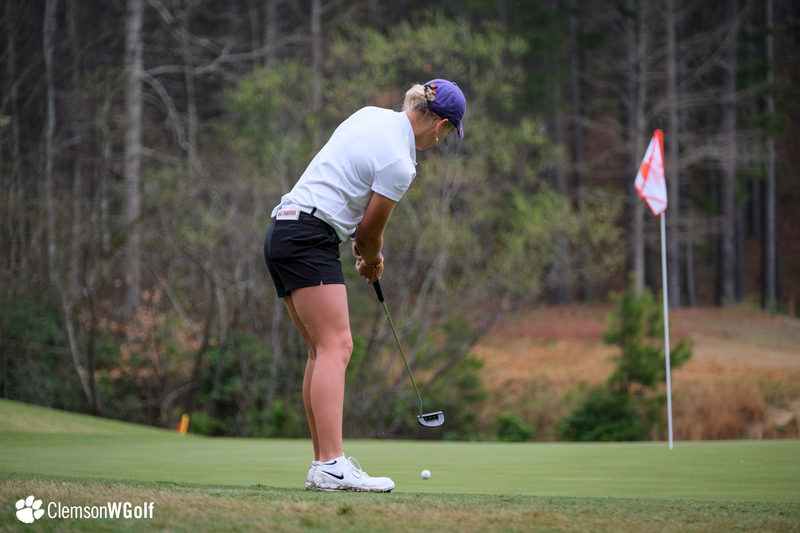 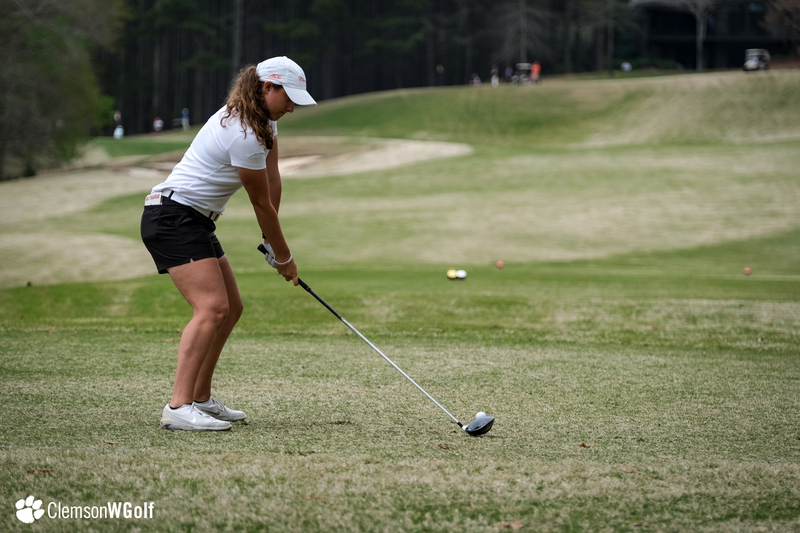 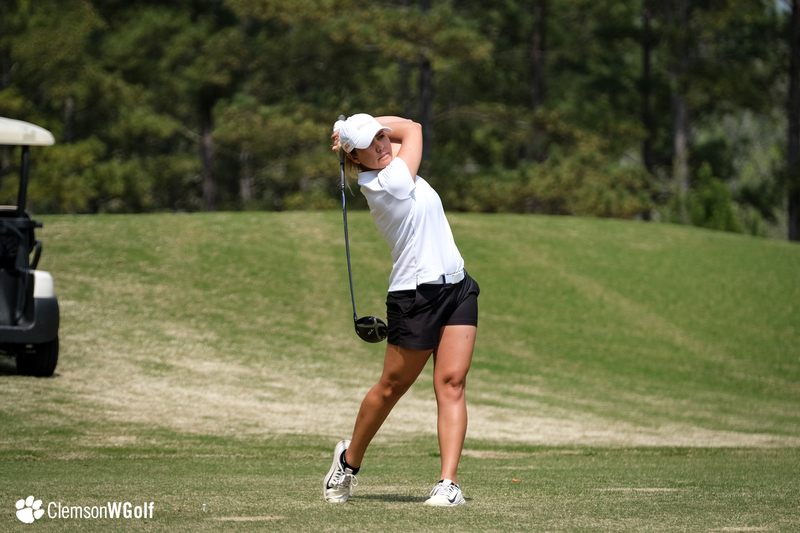 Alice Hewson, fresh off a 10th place finish at the Augusta National Women’s Amateur on Saturday, had an even par 72 and is in 25th place. 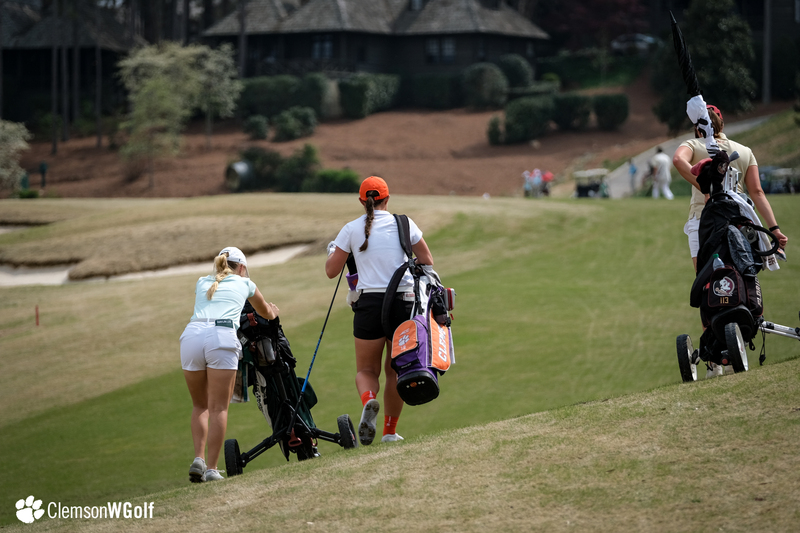 Alexandra Swayne and Gracyn Burgess joined Hewson with even-par scores on the par 72 Jack Nicklaus designed course. 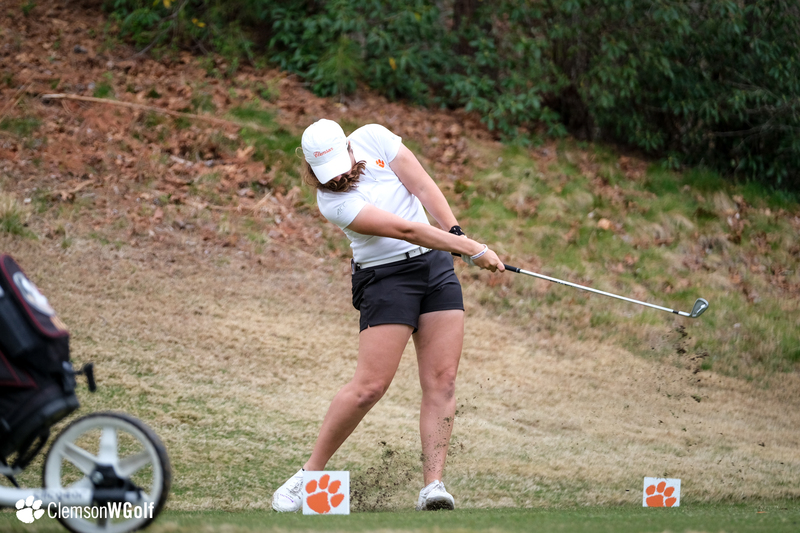 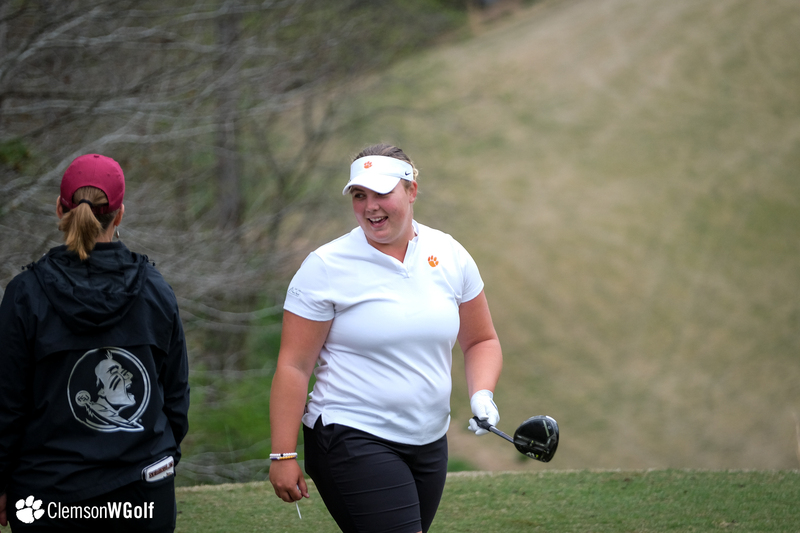 Freshman Ivy Shepard had an opening 73 thanks to two birdies and three bogeys. 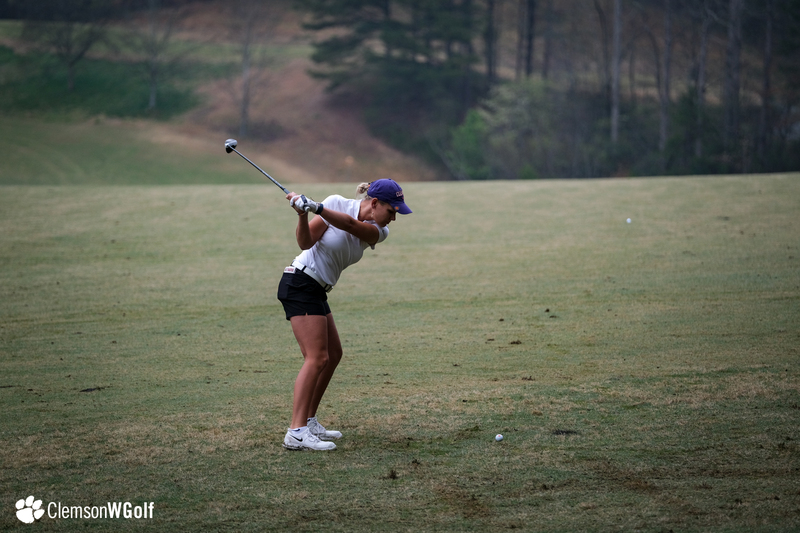 The second round will be played in a shotgun start format. 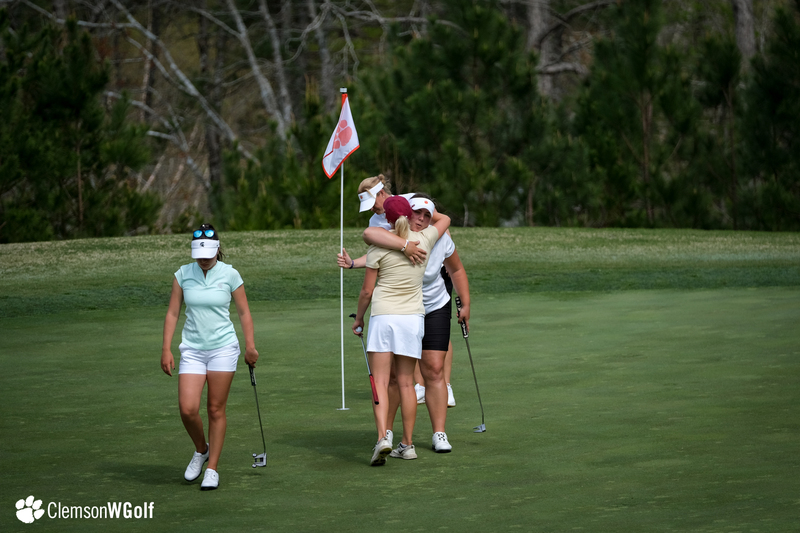 All 18 teams will begin second round play at 8:30 a.m. on Monday.